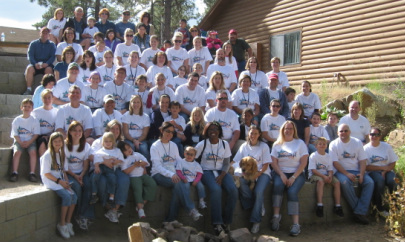 4/12/11 - Thank you for naming us as the Best Camp for 2011! 6/2010 - Sam's Club donated $500 and a kid's motorized vehicles. This year Sam's Club employees have also generously donated volunteer hours and supplies to help with fundraising events, such as the Hoagie Sale and car wash.
We thank the volunteers at Sam's Club for supporting our cause and hope this inspires others to help fundraise for Camp Runamuk and other programs for children with special needs. 3/22/10 - S.E.E.K. Arizona’s Life Skills Learning Academy participants once again held a successful Garage Sale on Saturday, March 20th 2010. These participants have been learning various skills that will prepare them for adulthood, and we were very pleased with our nine participants and their energetic endeavors throughout the day. 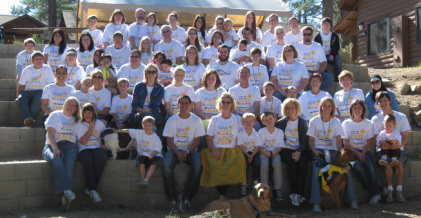 Many of the students who attended the sleepover and garage sale attended Camp Runamuk last year as Counselors-In-Training. Campers who participated in last year’s C.I.T. program are enthusiastic about participating again this fall at Camp Runamuk. During Life Skills class, the C.I.T.’s agreed that it would be helpful to their parents to fundraise in the hopes of bringing their camp costs down. We applaud these C.I.T.’s—and invite new C.I.T.’s as well—thanks for a successful fundraising event! 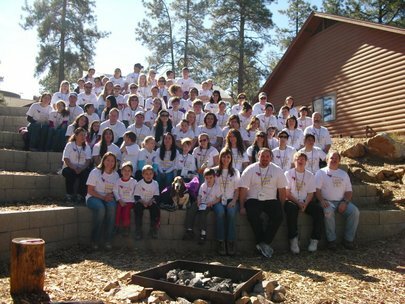 10/18/09 - It is hard to believe, but our 2nd Annual Camp Runamuk is now past! Everyone had a great time again with some extra special activities this year including: visiting a ranch which specializes in children with special needs and learning about safety, grooming and even riding the horses; and a yoga instructor who specializes in children with special needs! We hope everyone can join us again in 2010! 7/25/09 - The Foundation for Exceptional Kids has received its non-profit status! First fundraiser is underway.